Termessos ruins, an ancient Lycian city built by the Pisidians on top of the Taurus Mountains is one of the most attractive sites in Antalya located in the Termessos National Park in 30 northwest of Antalya near Korkuteli District. The national park with numerous animals and plants in danger of extinction live here and the park with its distinctive flora has a magnificent view as well as the ancient city of Termessos. 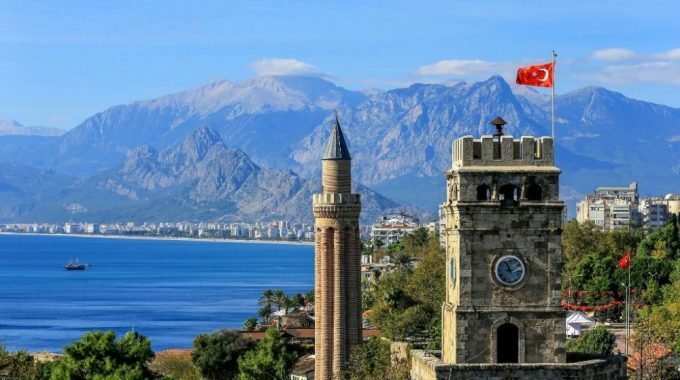 Plan your trip to Antalya! Known history of the city starts with the conquest by Alexander the Great in 333 B.C. The king wasn’t able to conquer the city that he described as a nest of hawk and he anadoned the conquest because he thought he wouldn’t be able to hold the city due to its difficult geographical situation. In the following centuries the city became an ally of Rome until 71 B.C. when the Romans granted independancy to the city. Termessos faced two major earthquakes throughout the history and today it is hard to find much left from the ancient Termessos. Visiting the city is still worth seeing the ruins of the city walls, the gate of Hadrianus, cisterns, theatre, gymnasium, agora, odeion, cemetery and mausoleums like Alketas, Agatemeros and Lion. People of Termessos were called Solym. The Solyms unlike the people coming from the sea were originally from Anatolian ethnic groups.